Millennials are often negatively referred to as the “Now Generation” – but why is this such a bad thing? Nobody likes waiting, whether it’s for food, the new season of Game of Thrones, and especially their data. More and more devices are beginning to require a stable, super-fast internet connection, from watches and cars to VR goggles, and home appliances. Currently, the number of connected devices globally is estimated at 6.4 billion, although this number is expected to increase to 50 billion by 2020. That means that within the next two years, smart devices will outnumber the world’s population by more than six to one. All of these devices requiring a lightning fast and reliable network on which to function. Enter 5G, the latest generation of mobile technology capable of delivering speeds of up to 10 gigabits per second, with almost no latency (compared to an average speed of about 15 megabits per second on a 4G connection) and the ability to support millions of connected devices per square kilometre. While the introduction of 5G is exciting for users, its largest impacts will be felt outside of the consumer world, with ground-breaking applications across a multitude of fields. This article is the first in a series, focusing on various applications of 5G technology across a wide range of sectors including; health, education, agriculture and transport and logistics. Australia’s low population density and the remoteness of significant parts of its population present many challenges. In no area is this more apparent than health care, where the digital divide between rural populations and their metropolitan counterparts is not just inconvenient – it can also be fatal. Mortality rates in regional, rural and remote Australia are 1.3 times higher than those in major cities. On average regional Australians have higher levels of disease and injuries and lower life expectancies than their metropolitan counterparts. Those living in regional and remote areas of Australia were more likely to suffer from long-term health conditions such as diabetes, arthritis and cardiovascular disease. Preventable hospital admission rates due to chronic illnesses in these areas are up to 2.5 times that of major cities. Much of this disparity is due to the lack of accessible health care services in regional and remote Australia. 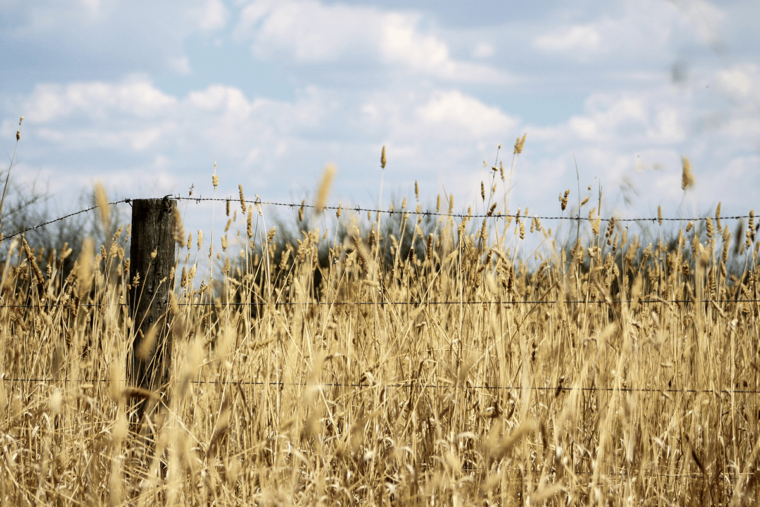 The demand for rural health services is overwhelming with rural and remote areas struggling to attract and retain general practitioners and specialist doctors. While in the city the rate of doctors is 1 for every 300 people, this figure decreases to 1 doctor for every 740 people in Australia’s most remote communities. In regional areas, chronically ill patients are forced to wait up to eight weeks for a standard GP appointment, and those living in remote areas face a 10-hour round trip to the closest doctor’s practice. In these areas, doctors and patients alike rely on email and telehealth services to conduct consultations, but these services are unlikely to meet the needs of patients and rely on the patient accurately recognising and reporting their symptoms. In the city the rate of doctors is 1 for every 300 people, while in regional Australia, this figure decreases to 1 doctor for every 740. 5G technology hopes to bridge this divide between rural and metropolitan healthcare, enabling doctors to access real-time patient data, diagnose their patients, and even operate, all via a remote connection. Remote monitoring allows doctors to review patient data in real time from a connected device, usually in the form of wearable technology. This allows patients with chronic illnesses to receive the ongoing intervention these conditions require without needing to travel to an appointment, reducing unnecessary emergency admissions due to mismanagement of illnesses. This will empower patients to continue on with their lives. Diabetacare currently partners with Vodafone to use IoT technology to allow diabetes sufferers and their clinicians to manage their symptoms using remote monitoring. Smart devices send blood glucose information to clinicians who are then able to adjust medication and provide direction remotely. Italian medical imaging company Imaginalis has created a number of diagnostic tools with the power to accurately render internal and external structures in 3D. Currently, this technology is being used to develop a system capable of rendering CAT scan images in 3D, making diagnosis easier and surgical procedures safer. However, the images that are currently produced by this technology are several gigabits in size, meaning that current 4G technology is unable to communicate this information in real time – thus preventing real time diagnosis and remote surgery applications. Robotically-assisted surgery is already used both internationally and domestically at a number of major Australian hospitals. These futuristic machines are operated by a skilled surgeon to complete highly complicated procedures such as neurosurgery, organ transplants and paediatric surgeries. These machines are able to complete procedures with smaller incisions, reduced risk of infection, less blood loss, reduced pain and faster recovery times than standard procedures. Currently, surgeons are only able to control these robots locally. However, the improved speeds and low latency that 5G offers will soon allow surgeons to operate such devices remotely, meaning that isolated patients will no longer be forced to travel thousands of kilometres to access specialist medical treatment and regional hospitals will be able to offer a wider range of procedures. 5G will also allow for the transmission of haptic feedback, meaning that surgeons will be able to “feel” the depth of pressure and touch being applied by the robot. The advent of 5G is capable of doing for mobile technology what the printing press did for the written word. By combining the latest in medical technology with the latest in telecommunications technology, these innovations have the potential to not just change lives, but also save them. While remote diagnosis and remote surgery might seem like far-fetched fantasies right now, versions of these applications are already in use throughout the world. All that is required is a next-gen network capable of supporting our biggest and brightest ideas. To ensure Australians benefit from the opportunities provided by 5G as soon as possible, the government and industry needs to work together. The first step is to ensure that enough bandwidth is made available for mobile providers to meet the demands of the applications 5G will support. Unfortunately many countries are already well ahead of Australia especially in terms of their ambition and ability to make large quantities of spectrum available for 5G, so now’s the time to act. Contact your local MP and let them know that you’re passionate about the possibilities of 5G. As a key member of the Public Policy team, Allyssa is passionate about the role of technology in community development. Hailing from regional Australia, Allyssa is committed to bringing regional communities to the global stage.